When shipping internationally there are many different areas that need to be considered as well as rules and regulations that should be noted before making any deals. Sending samples can be a big part of the international shipping costs in you are not properly prepared. 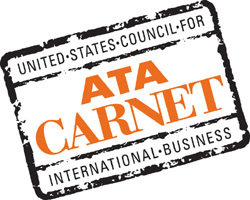 A carnet, pronounced “KAR-NAY” can be a useful tool to offset potential shipping costs. These are commonly referred to as “merchandise passports” and they are used to simplify customs passage for items like samples and professional equipment as well as equipment that is used in fairs or exhibitions regarding your products. Carnets can be a very useful tool for many reasons. Cost savings alone can be a huge asset since they eliminate the need for duty payments as well as taxes and any import bonds that would normally be necessary. They are good for a year, their documents must be in English and they are widely accepted throughout the world so there are other benefits as well. Shipping with a carnet has become a necessary part of the manufacturing process in international business. As long as you are not shipping postal items, giveaways or consumable goods, a carnet can be used to move your samples and related items. While they do allow for easier passage, these cannot replace permits or licensing for these items. As long as you follow the correct protocol, shipping with a carnet can make for a much easier shipment. Using a trusted freight forwarder to handle your shipment would ensure that the proper rules are being followed and guanretee that your shipment reaches its destination on time.